Smoke detectors are present in more than 95 percent of American households. They’ve been saving lives and property for decades and are a textbook example of how a simple gadget can make a real difference in home security. The ear-piercing beeps of traditional detectors are only effective when you’re at home though and become useless once everyone is away and there are no neighbors to hear them. That’s where smart smoke detectors come in! They connect to your home’s Wi-Fi so their alerts can reach you anywhere via smartphone. Some of them might look nothing like the previous generation of detectors, but they’re as sensitive and loud as ever. On top of being excellent at sniffing out fires before they become life-threatening, most of them are also capable carbon monoxide detectors, have nightlights, and can be used to control other devices in a smart home. We have research smart smoke detectors and present six of the best ones in this guide. 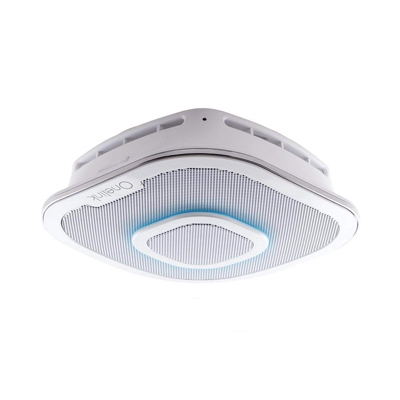 Whether you’re looking for a state of the art device that you can incorporate into smart home scenes or an inexpensive way of raising the IQ of your existing setup, you’re sure to find the ideal smoke detector among our picks. Connects to multiple Kidde alarms and products. Long connection range. Interacts with many 3rd-party smart devices and installed anywhere. Excellent detection capabilities and works well with other smart devices. A smoke alarm can have many sensors, but reliably and quickly detecting smoke is its first and most important duty. There are two sensor types to choose from – ionization and photoelectric. Ionization sensors are based on the fluctuations in current that’s created when radioactive material comes into contact with a set of charged plates. Smoke disrupts this current and triggers the alarm. Photoelectric detectors rely on a photosensitive sensor. When smoke enters them it obstructs the sensor, activating the alarm. Both detection methods are useful – ionization-based detectors are better at detecting fast-burning fires while photoelectric ones are triggered more quickly by smoky, smoldering fires. If you can afford it, you should get at least one of each. If not, get a detector with a photoelectric sensor as these are less prone to false alarms. Most smart smoke detectors can also detect carbon monoxide. Some even have humidity and temperature sensors which give a more complete picture of your home’s current state. These aren’t needed if you already have a smart thermostat but will come in handy otherwise. Traditional smoke alarms are mostly hardwired and work best when installed on the ceiling. Modern ones can be placed on walls as well and many don’t need to depend on wires as they’re battery-powered. Mobility and ease of installation are important, but you should have a backup just in case. Consider purchasing a smart smoke detector which supports both power sources. If you decide on getting a battery-powered model, make sure the detector or its app have a way of notifying you when batteries need changed. A good smoke detector should have multiple ways of alerting you. A loud alarm is the first and most basic step followed by clear light signals. Many modern detectors have LEDs which glow red when they’re triggered. The most useful warnings are received remotely as they can reach you in time wherever you are. Usually you’ll get notifications from the detector’s app, but some models send messages through text and email as well. The more methods, the better. Possibly the greatest advantage smart smoke detectors have over classic ones is that they can affect other devices around them. This gives you the power to do much more than leave your home and wait for the fire department. By connecting to a smart home hub, the detector can interact with and trigger cameras, plugs, and lights. Setting smart sprinklers to start watering the lawn once an alarm goes off can help localize a fire, while telling your smart lights to come on or flash will do much to convey a sense of urgency and get everyone to safety quicker. Not every smart smoke alarm supports this feature, but you should definitely consider one that does. Nest is a pioneering home automation company best known for the Nest Learning Thermostat. After introducing in-depth and connected climate controls to smart homes, the next logical step for Nest was to develop a product which could keep the home safe as well. 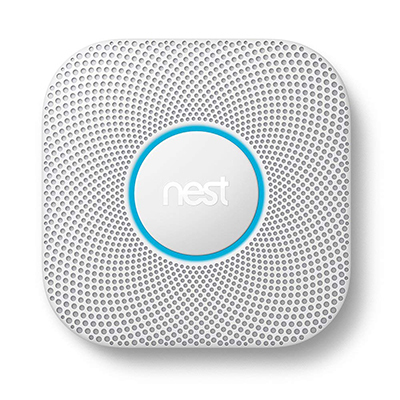 The Nest Protect is a well-designed, versatile smoke and carbon monoxide detector that’s easy to install and use. It is quick to detect and warn you of fires or faulty boilers wherever you are. It also features extensive support for 3rd party smart home gadgets. Nest Protect is somewhat larger than classic smoke detectors and is rectangular instead of round. Installing it involves screwing a baseplate into a wall or ceiling and attaching the detector to it. This shouldn’t take more than 10 minutes. You can power the Nest Protect by either hardwiring it or with six AA batteries. Even when hardwired, the detector makes use of three batteries for emergencies. You’ll quickly get acquainted with the Protect’s basic features thanks to an intuitive LED ring at its center. Changes in color signal different modes or events and are of great help for deaf people. Blue means the detector is syncing with the Nest app or performing updates. When everything is OK the light will glow green while an elevated concentration of smoke or carbon monoxide will turn it yellow. Red means that there is imminent danger and you should get out of the house. There’s also a nightlight which glows white if you pass the Protect during the night and trigger its motion sensor. Smoke detection in particular is excellent! Nest Protect uses a photoelectric sensor which operates at two wavelengths. This allows it to detect slower, smoldering fires as well as fast-burning ones in time. The alarm is three-fold. The LED ring turns a bright red, a woman’s voice starts alerting you to danger followed by a loud siren, and your phone receives a notification. False alarms rarely happen, but if the Protect does interpret smoke from your barbecue as a fire and starts speaking, a hand gesture can deactivate it before the siren sounds. A wide array of connection options adds even more value to this already excellent smoke detector. You can track its status, receive updates, and configure alarm settings from the Nest app. 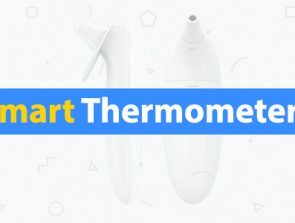 More importantly, the detector connects to other smart devices and can affect them. 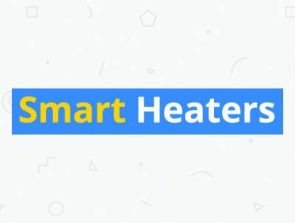 For instance, if you’ve plugged a gas boiler into a smart plug, detected high carbon monoxide levels can trigger the plug and turn the boiler off. In the event of a fire, smart lights can turn themselves on as soon as the Protect detects smoke etc. 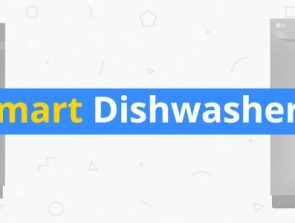 The only drawback we could find is that the Nest Protect requires frequent cleaning. Dust particles can accumulate inside it after a time and cause false smoke alarms. You don’t have to spend more than $100 to get a good smart smoke alarm. First Alert, a company that’s been in the business for over fifty years, has one that will set you back half as much. Its 2-in-1 z-wave smoke alarm is a vigilant device that quickly detects elevated levels of carbon monoxide and all manner of fires. Its performance is comparable to that of the Nest Protect while the absence of features like a nightlight is hardly missed. Its outstanding quality and reasonable price make the 2-in-1a worthy alternative to our winner. This detector is powered exclusively by two AA batteries, meaning that you can install it either on the ceiling or wall and not be tethered to a wire. The batteries are used sparingly and should last for well over a year if there are no incidents in the meantime. Its eight-sided shape resembles more traditional smoke alarms. Installation follows the same pattern as that of most smoke alarms and isn’t complex since no room has to be made for wires. Don’t mistake the 2-in-1’s look for a lack of features. 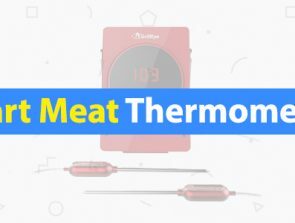 It is equipped with a sophisticated photoelectric sensor and designed with plenty of ventilation so that smoke or CO quickly come into contact with it. The alarm activates a bright red light for each type of detectable danger as well as repeating beeps. Three beeps followed by a pause signal alarming levels of smoke while four are used when there’s too much carbon monoxide in the room. The 2-in-1 doesn’t have its own app. You need to have a smart home hub that’s compatible with Z-wave to make use of its smart features. Samsung’s SmartThings works best, but other hubs are compatible too. The detector is shown as a Z-wave smoke alarm in the hub’s app. From there you can view how much power is left, temporarily turn off the beeping, and assign it as a trigger for other smart devices. Even though its batteries are long-lasting, having a wired connection gives you peace of mind and one less set of batteries. Multiple detectors can’t be connected, meaning that they won’t go off simultaneously once one has detected a problem. Smoke detectors are life-saving devices, but 99 percent of the time they’re idle. Safe & Sound is a smart device that doesn’t only reliably detect carbon monoxide and smoke but also acts as an Alexa speaker. If you’re comfortable paying its high asking price, you’ll be safer and more entertained than with any other smart smoke detector out there. Safe & Sound bears a striking resemblance to the Nest Protect. No doubt both companies have been inspired by Apple’s clean and minimalistic design philosophy. The square shape, round corners, and perforated surfaces that look so good on Nest’s detector are all present, as is a colorful LED nightlight. Installation is equally painless, although the Safe & Sound needs to be hardwired. Smoke detection is handled by a photoelectric sensor which ensures accuracy in detecting different kinds of fires. Compared to our overall winner, Safe & Sound takes almost twice as much time to register dangerously high smoke levels. Getting alerted a minute after the fire starts still gives you enough time to evacuate safely. You can assign the detector to a room so that the alarm will tell you where the problem originated. 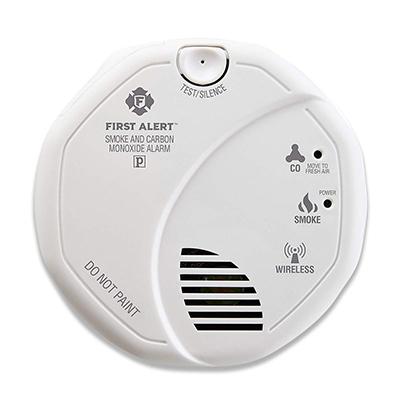 Once triggered, the alarm will continue beeping until the smoke or carbon monoxide levels are back to normal. A built-in microphone and Bluetooth speaker enable the Safe & Sound to act as an Alexa speaker. Alexa is an AI assistant that can answer questions, play music, remind you of calendar events, and much more. This also enables you to control compatible smart devices with voice commands. The app has basic control settings which let you turn Alexa’s microphone off, stream music from your phone through the Bluetooth speaker, or customize the color and brightness of the LED. Alexa on the Safe & Sound is currently limited. You can’t group its speaker with others or use it as an intercom, although First Alert claims that both features will become available soon. This is by far the most expensive smoke detector we’ve tested. Alexa integration is nice but doesn’t justify the price difference between this model and the Nest Protect. Buying a sophisticated smoke detector is a considerable investment, especially if you own a large home a single unit won’t be able to cover. 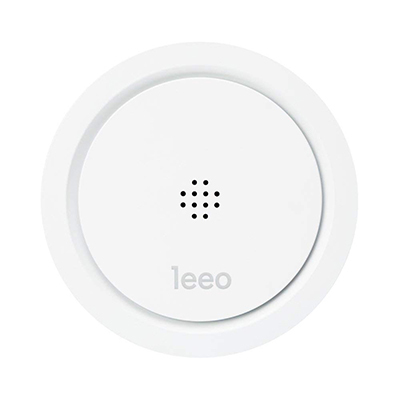 Leeo’s smart remote alarm monitor solves this problem in an ingenious way – with it on watch, you can purchase as many standard smoke and carbon monoxide detectors as well as leak monitors and still get notified in case of an emergency. It’s also a handy nightlight and has an array of useful sensors. Out of all the devices here, Leeo’s remote alarm monitor is by far the easiest to set up. Plug it in, install the Leeo app, give the monitor access to your local Wi-Fi, and you’re done! From here you don’t need to do much since monitoring is automated. You can adjust its nightlight however. The light has a pleasant, soft glow which is reflected off of the wall and won’t blind you if you need to pass the monitor in the middle of the night. You can pick its color and brightness manually or let the built-in light sensor take care of the latter. So how does it work? The Leeo monitor isn’t a smoke detector on its own. Rather, it has sophisticated microphones which pick up the specific beeping frequencies of smoke, CO, and water leak detectors. When one of these is activated, the sound will be registered and the app will send you a message containing a short recording of the event. This message can either be dismissed as a false alarm or you can call emergency services local to your area directly from the app. If you don’t respond in time, an emergency contact will be notified and presented with the same choices. False alarms aren’t common, but they do happen. Usually it’s because of shrill sounds like high-pitched squeals or shattering glass. This is easy to dismiss if you’re home and know what caused the false alarm, but may be worrisome when you’re away. The monitor’s range is 75 feet and it probably won’t be able to pick up sounds from a different floor. You’ll therefore need to buy more than one if you’ve got a multi-story house. Roost’s smart battery has a similar approach to smart smoke detection as the Leeo monitor. It is a 9-volt battery that can power any compatible “dumb” alarm for three to five years and send you different notifications whenever the alarm goes off. It’s a significant improvement over the first gen model. It’s easier to pair, lasts longer, and has gone down in price enough to rival our budget pick. It is of limited use though and has a few shortcomings you may want to consider before buying. 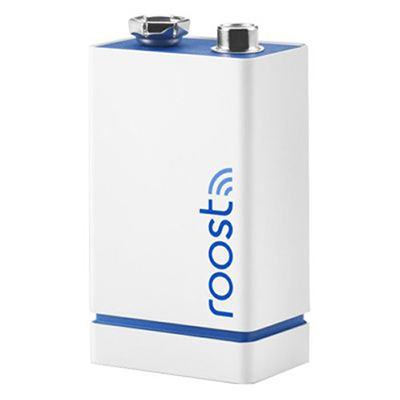 The Roost looks like any ordinary 9-volt battery, the exceptions being its white and blue color scheme and detachable bottom part. A speaker and components needed for Wi-Fi connection are housed there. This part can be attached to a fresh Roost battery which costs considerably less than the whole package. To get it to work, the battery must first be paired with your phone. This was the first version’s greatest setback since pairing was accomplished only through a series of beeps emitted from a smartphone and wasn’t always successful. This iffy method is still an option, but now you can also turn the battery into a temporary Wi-Fi hotspot and connect to it much easier. Testing shows that the Roost will broadcast a message mere seconds after an alarm sounds. The message can be received either as an email, text, or push notification. The app will also produce an unmistakable sound that prompts you to look at the phone. From there, the emergency response behavior is almost the same as the Leeo’s. You’re given a choice to contact the nearest fire department or dismiss the alert. Emergency contacts can do the same if you’re unable to respond. The battery is a fraction of an inch shorter than others, meaning that if there’s a tailored compartment inside your smoke alarm instead of a connector, the battery may not firmly touch the contacts. The actual charge a fresh battery comes with is inconsistent. Some work as advertised while others will fizzle out long before three years pass. You may have a smoke detector set up in your kitchen, but what are the chances that you’ll hear it every time? More than one detector needs to be strategically placed in a larger home to ensure coverage, and this can be costly if you’re keen on getting one of the other models on our list. Kidde, one of the foremost American fire safety companies, produces inexpensive yet effective interconnected smoke detectors. When one goes off, so does the rest along with Kidde’s other alarms and strobe lights. Kidde’s smoke detector has the white, round look that’s become synonymous with smoke detectors. It has a series of holes smoke can pass through and a snooze button which will temporarily silence the detector. Also inside is a powerful 85dB siren you should be able to hear a couple of rooms away. Three AA batteries power the detector and make it easier to install than a hardwired one. When they’re low, a beep will sound every few seconds to let you know it’s time for a replacement. Each detector can function on its own, but they become more useful once interconnected. Communication between supported devices is established via radio waves. These are weakened but not hindered by walls, meaning that you could place one smoke detector inside your garage and another in your home and still have a strong connection. A maximum of 24 detectors can be connected in this way. The sensor within the detector is ionization-based. Sensors of this type are better at recognizing fast-burning fires. When smoke is detected, the unit which picked up on it will transmit this via radio waves and cause each interconnected device to either sound its own alarm or start blinking. 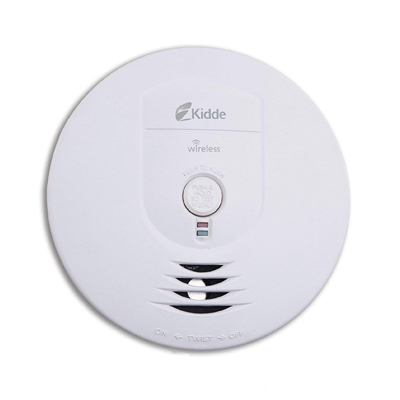 This device only detects smoke so you’ll need to get a separate CO detector either from Kidde to take advantage of interconnectivity or look elsewhere. There’s also no app to notify you when you’re away from home.